The results are in for Europe’s sixth Splatfest in Splatoon. 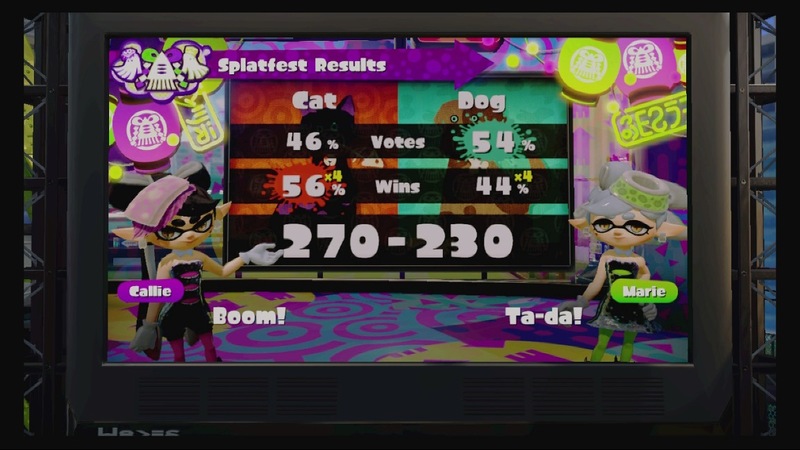 Thanks to an edge in wins, Team Cat managed to beat out Team Dog. Those who sided with cats secured 56 percent of the wins. Dogs did have a slight edge in popularity, but that wasn’t enough for them to come out on top. The final score was 270 points for Team Cat and 230 points for Team Dog.